Incredible views and prime location! High floor, renovated, and move-in ready studio w/ low maintenance fees--great for the homeowner or investor! This bright, spacious and recently updated unit features new vinyl flooring, paint, stove, and bathroom vanity/sink. Includes washer & dryer in unit and a folding wall to partition off the studio for privacy. The Makiki Plaza is a secure and well-managed building and features a pool, sauna, secured entry, security patrol, onsite resident mgr and guest parking. Schedule your viewing today! 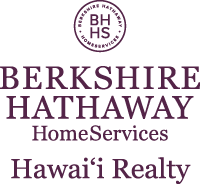 I am interested in 1561 Pensacola Street UNIT 1804, Honolulu, HI 96822. Sign up for Inside AccessTM to view recent sales near 1561 Pensacola Street UNIT 1804.